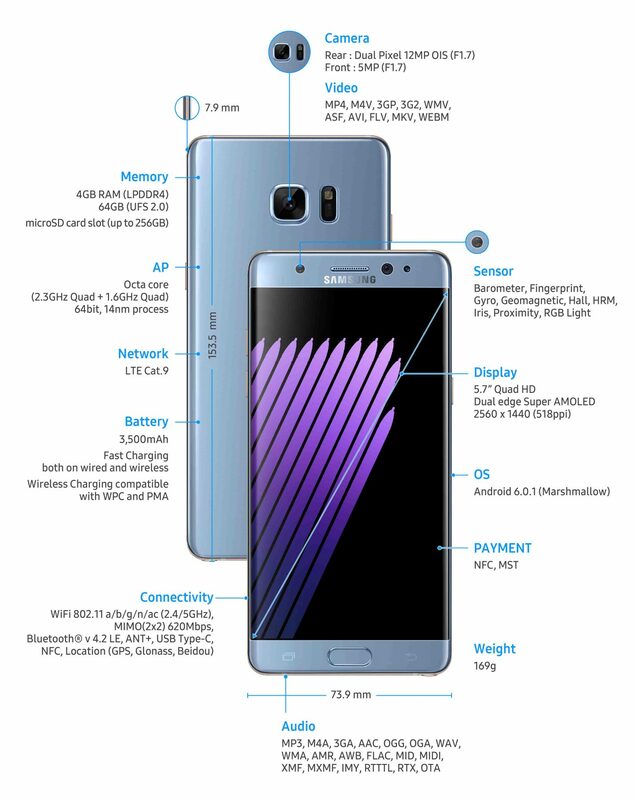 The Galaxy Note 7 might feature the same hardware specifications as a Galaxy S7 and Galaxy S7 edge, but its vast slew of features, and other changes have allowed the smartphone to gather a variety of accolades that other Android phones have not been able to achieve. Here is a list of 6 milestones that the Galaxy Note 7 has been able to achieve so far. That’s absolutely correct. Galaxy Note 7 is indeed the first smartphone to feature a Gorilla Glass 5, and in doing so, the newest iteration of the glass will protect the smartphone from a height of 1.6 meters. Gorilla Glass 4 could prevent irreparable damage to your smartphone from a height of just 1 meter, and did not take into account that it’s not just the drop that does majority of the damage, but numerous scratches can also tarnish the display. Corning took this little hurdle into account and also made its Gorilla Glass 5 resilient against scratches against a wide range of surfaces. We have provided a short video of how superior engineering and research allowed Corning to produce the most protective Glass so be sure to check that out. We’ve heard numerous smartphone manufacturers and their ambitions to release devices that feature their own iris scanner, but it’s the Galaxy Note 7 that takes the cake for being the first actual handset to provide support for the next security upgrade after fingerprint sensors; iris scanners. With fingerprint scanners becoming more accurate and rapid fast, this is the probably the first time that we’ve seen an iris scanner function on a smartphone, and naturally, there would be doubts over the sort of accuracy it would harbor. 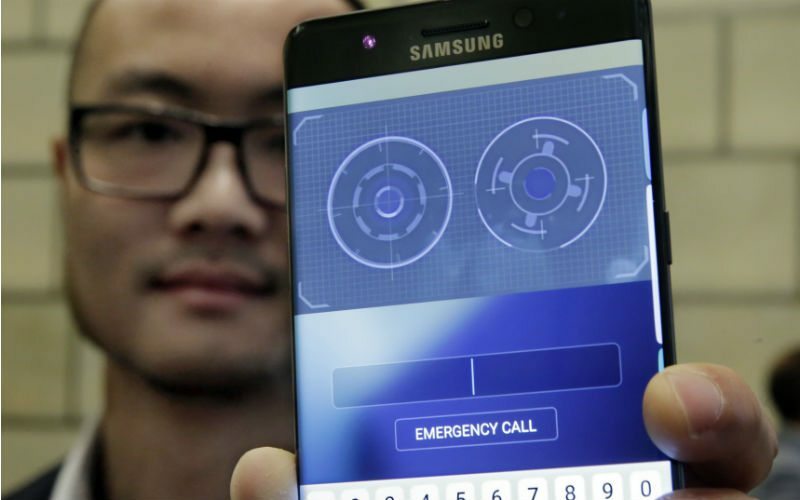 However, according to a Twitter user by the name of Roland Quandt, he’s stated that the iris scanner on the Galaxy Note 7 is said to be “200 times safer”. With our experience watching films that involve the use of iris scanners, we’d conclude that they are a sophisticated piece of technology designed to prevent unauthorized access, so we’d say that an iris scanner present inside the smartphone could provide the best possible layer of security for users. This could also mean that if there are certain limitations present in the security feature, there is always room for improvement, when successors of Galaxy Note 7 arrive. Samsung’s achievements with smartphone display are legendary and it’s all thanks to the Super AMOLED tech that’s used for a wide range of the company’s phones. 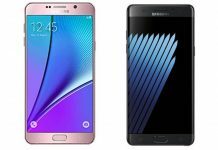 However, this time, DisplayMate conducted numerous tests on the smartphone and reached a verdict that despite the Galaxy S7 and Galaxy S7 edge featuring the same display technology as a Galaxy Note 7, it’s the 5.7-inch phablet that’s won the best smartphone display accolade, unless of course a better one comes across out path. We also have to commend Samsung for not going overboard with a 4K display, but there are rumors that a Galaxy S8 is going to be feature a UHD resolution. After Apple introduced the first ever USB-C port in its ‘portless’ 12-inch MacBook, there were few manufacturers who actually started to take note of the company’s progress with the USB-C standard and it’s safe to assume that this standard is going to become universally accepted in a short period of time. Sure, right now you might run into issues of connectivity incompatibility issues and might also not find spare accessories for your phone that require the USB-C interface, but it will definitely not take long for other manufacturers to start following in the same direction as Samsung and Apple. Just in case you were wondering the advantages of a USB-C port, the most important one is that it’s completely reversible. Where you often made a mistake plugging in your traditional USB 2.0, 3.0 or even a microUSB port, you will never run into this problem with a USB-C port. You will be able to insert it in any orientation and the port will accept the cable or the accessory you’re attempting to plug in. The second one is the maximum bandwidth it is able to deliver. In majority of the cases, USB-C is able to deliver the same speeds at the USB 3.1 standard, which is 10Gbps, or in other words, twice the theoretical speed of the USB 3.0 standard. While most connectors will be USB-C, the underlying technology could not be more than USB 3.0, or in even rare cases, USB 2.0. As stated earlier, it will definitely take time for this standard to get universally accepted, and with that acceptance, we’ll be able to see all USB-C connections deliver a far higher bandwidth. The second advantage of having a USB-C port is the amount of power it can deliver. When we stated that the connector was going to become a universal standard, we weren’t kidding because the compact nature of the connector is not just going to be only perk that matters. USB-C ports that transfer up to 100 watts of power and aside from transferring up to 10Gbps of data, they are smaller in size compared to traditional USB ports, which means that more and more ports can be present on future notebooks without increasing their overall bulk. Obviously, adapting to a brand new standard will take some time and as frustrating as it might be, it will definitely be worth the wait. Reducing the resolution of a smartphone does require an Android phone to be rooted, but with Samsung’s own UI providing support of this feature, that painful process is no longer going to be required. In fact, this is possibly the first that we’re seeing a company add a crucial feature to its devices, and since we know exactly how battery hungry are phones with QHD displays, the Galaxy Note 7 deserves such a feature. Be aware that the Galaxy Note 7 sports a 3,500mAh battery, and it’s not much in terms of an upgrade, so the feature will definitely come in handy when you’re on your last legs of battery and are desperately looking for ways to conserve as much juice as possible. The Galaxy S7 and S7 edge are still terrific phones in our opinion, but here’s the worst part about the Galaxy S7; its lack of curved edge screen does not make it a good purchase for those want something more from the Android handset and to be honest, we feared the same thing would have happened with the upcoming Galaxy Note 7. Surprisingly, Samsung decided to have a change of heart, most likely because if a consumer is paying a radical amount to purchase a Galaxy Note 7, then they should get the entire list of features without feeling that something is missing right? 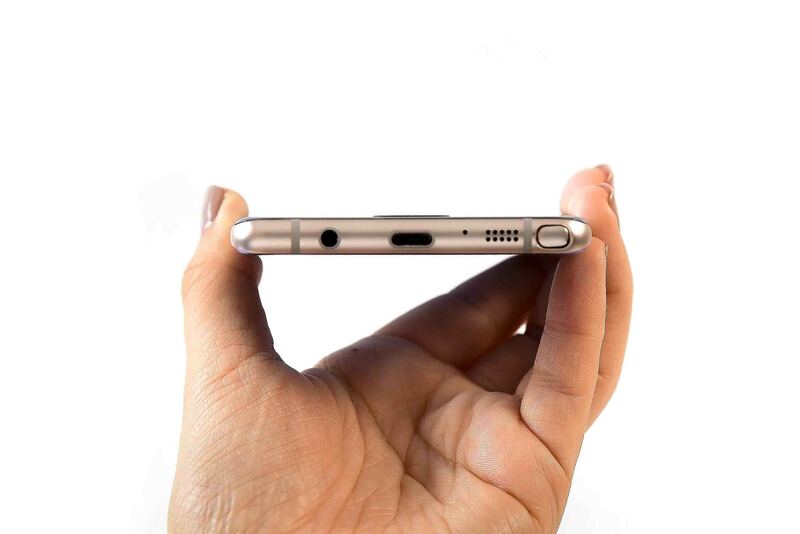 With the Galaxy Note 5 coming without a microSD card slot, the Galaxy Note 7 hits the sweet spot with 64GB of internal memory and a removable storage card tray that can accommodate an external storage card up to 256GB. Coming to the dual curved edge screen, Samsung did mention that the company ran into a brick wall when it came to the screen and that precise engineering methods were required to provide the perfect balance. This balance was divided into the amount of space the user needed on a phablet without any limitations, and the feel of the S Pen accessory on every edge of the screen without letting it feel that its moving across a sloped surface like the curved side of the display. 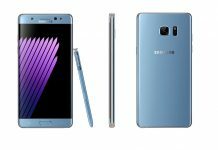 Compared to the Galaxy Note 5, Galaxy Note 7 packs a ton of upgrades and they can evidently be seen in the list of accolades that we’ve mentioned above. However, if you want to mention somethings that we might have left out, well, that’s what the comments section has been provided to you guys for. 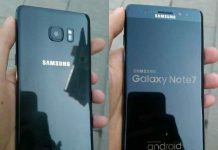 Will Samsung Really Relaunch Galaxy Note 7 as Galaxy Note FE Next Month? Seems Likely! 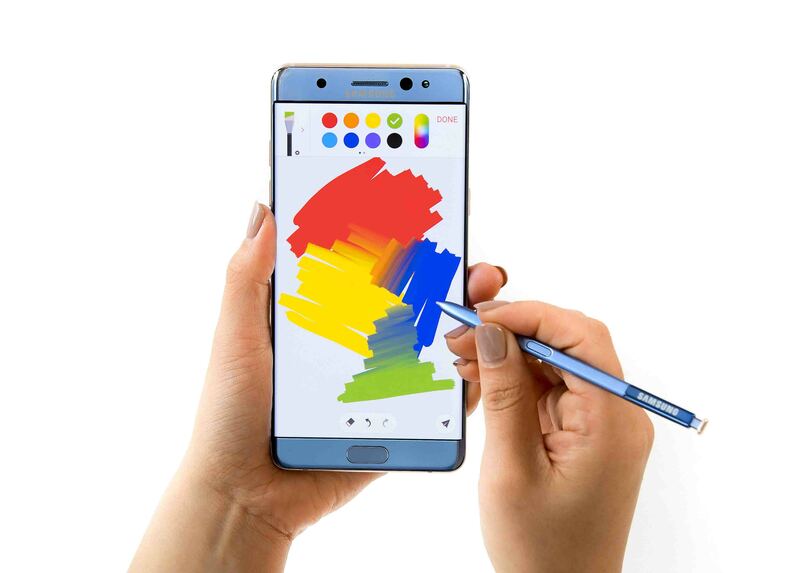 Galaxy Note 7 Refurbished to Launch as Note FE Instead of Note 7R; Will it Cannibalize Samsung Galaxy S8, S8+ Sales? 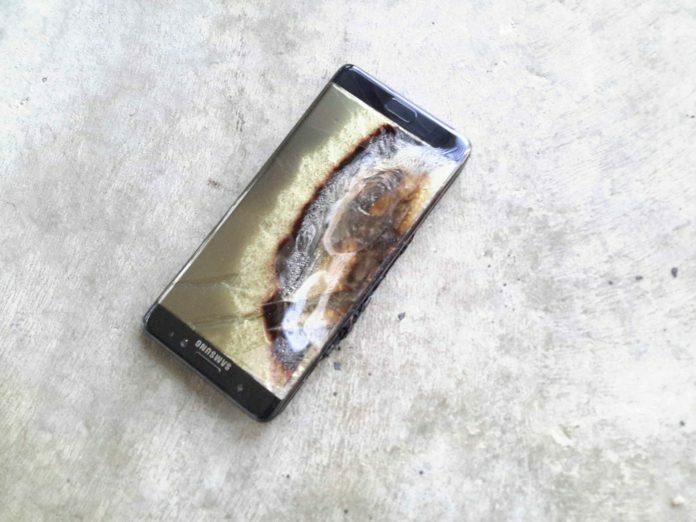 Samsung Galaxy Note 7 Disaster Was Not Because Of Faulty Batteries?